As we rapidly approach the end of another year, we celebrate the accomplishments of the recent past and look forward to what the future holds. Developments and refinements in procedures, inventions of new techniques and new modes of treatment tend to get the most attention, but who are the ones emerging as the next leaders in the specialties that serve venous medicine? Who are becoming the voices of the next generation of vein care? Our inquiring minds wanted to know! VEIN Magazine is proud to highlight some up-and-comers who bring a solid foundation of dedication, leadership and innovation to this area of medicine we know and love. Here are the visions and the stories of just a few of the outstanding practitioners who strive to make a difference through quality venous care and education. An undergraduate from Stanford University, Dr. Mann attended medical school at Washington University and stayed for residency in Dermatology. She recalls how she became involved in venous work. “I have been really lucky to have amazing female mentors throughout my education. I did my honors thesis under Dr. Patricia Jones, who was the chair of Biological Sciences at Stanford. Dr. Mann went on to complete a fellowship under Dr. Sengelmann and Dr. Jeffrey Peterson, who taught her about wound care and inspired her to incorporate vein care into her practice. “Dr. Petersen had a very large wound care clinic–dermatologists all over St. Louis would send their patients with challenging ulcers to him. We performed lots of variations of Unna boots and local wound care. 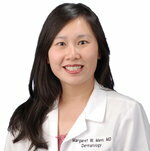 Other mentors who have been instrumental in establishing her vein career include dermatologists such as Drs. Mitch Goldman, Bob and Margaret Weiss, David Duffy as well as Helane Fronek. It was Dr. Fronek who welcomed and encouraged her to get more involved. “I first met Helane about 10 years ago after I had just finished my fellowship training. A dermatology friend and I attended our first ACP meeting and we were awestruck by Helane on the podium–she was knowledgeable, eloquent and kind. We sheepishly went up to her afterwards to ask her questions and she generously offered to keep in touch. She introduced me to many people in the ACP through the years and was instrumental in encouraging me to serve on the ACP Board of Directors. She has been an amazing mentor to me professionally and personally–in navigating my academic career after moving to a new academic institution, juggling life as a new mother and balancing career and family. 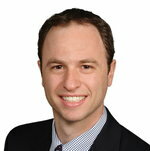 “I practice in a full-time academic dermatology practice in Cleveland, Ohio,” explains Dr. Mann. “I perform Mohs surgical reconstruction for skin cancer two days a week, and the rest of my week is spent treating cosmetic and vein patients. My practice is entirely office-based; we routinely do large reconstructive and cosmetic procedures on patients under local anesthesia. When asked where she wants to see vein care go in the near future, Dr. Mann replied, “Since the introduction of endovenous thermal ablation in 2000, there has been an explosion in the number of minimally invasive treatment options for superficial venous disease including non-thermal and non-tumescent techniques. These innovations provide more options for patients and theoretically reduce downtime and risks, while improving efficacy. Currently, we might pick an approach because it is familiar, or because it’s what our peers are doing or what’s trendy. 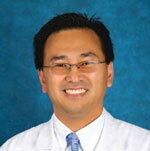 Dr. Ma began his medical education at Johns Hopkins University where he obtained a bachelor’s degree in biology. From there he went to Albert Einstein College of Medicine in Bronx, New York for a combined MD/PhD program where he focused on vascular biology, specifically on endothelial cell apoptosis and smooth muscle cell migration, as he was very interested in cardiovascular diseases. After becoming more involved in the AVF, Dr. Ma was awarded the BSN-Jobst Grant and was further propelled into the venous world. “As many vascular surgeons know, venous disease is more prevalent than arterial insufficiency and oftentimes can be more challenging to treat. The presentation of venous disease can vary so greatly from incompetent venous valves to compression of iliac veins. He is currently working in New London, Connecticut as part of a large vascular surgery practice known as The Vascular Experts. “I am practicing general vascular surgery covering the full spectrum, both arterial and venous work. Currently my workweek involves about 50 percent venous patients, which I see for symptomatic varicose veins and venous insufficiency. Although not actively involved in a research facility, one of his partners, Dr. Paul Gagne, has a research firm in which he will most likely participate in the future. “Since I am new to the practice I have not yet had time to establish practice nor had the time to extend myself into any active research yet. However, I do have plans for potential research in the future, which involves continuing research in the venous field. In particular, I would like to continue my previous research involving the use of compression stockings and testing them for both durability and reliability. Compliance with compression therapy is a major problem when treating patients with venous disease and determining the factors that inhibit or make compliance difficult for our patients would be a good starting point for trying to improve patient compliance. When asked about the future of vein care, Dr. Ma said he would like to see vein care become something that more vascular surgeons are interested in, rather than just the arterial work. “I believe that too much of vein care is being done today by people who are not adequately trained in venous disease. Furthermore, we need better public awareness for venous disease and its impact on our society. There are many new innovations to treat venous disease with minimally invasive techniques, new forms of sclerotherapy and new devices coming to market to treat iliac vein compression. While there have been great new developments in the management of patients with all aspects of vein disease, Dr. Winokur still sees large gaps that can be filled to continue to improve the quality of life of patients. Dr. Angela Kokkosis completed medical school at the Stony Brook School of Medicine in New York where her first exposure to vascular surgery and specifically, venous disease, occurred. “I can still remember scrubbing with my mentors, Drs. Antonios Gasparis and Apostolos Tassiopoulos, while they performed endovenous laser ablations and phlebectomies in the outpatient office. 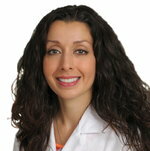 As a part of the Division of Vascular and Endovascular Surgery at Stony Brook Medicine and outpatient practice in Centereach, New York, the large majority of her venous procedures are performed in the office, including endovenous laser ablations (EVLA), mechanochemical ablations (MOCA), microphlebectomies, sclerotherapy, superficial venous ligations, venous stenting and angioplasty, central venous access, and inferior vena cava filter placement and removal. The more complex cases, such as venous thoracic outlet syndrome or venous thrombolysis are performed at Stony Brook Hospital. Her workweek consists of two to three days in the office and two to three days in the main operating room at Stony Brook Hospital. An active member of AVF, SVS, NYSVS, VESS, ISVS and the American College of Surgeons, Dr. Kokkosis enjoys spending time with family and close friends, running with her “very energetic” black retriever, and undertaking home improvement projects. Dr. Kokkosis has several hopes for the future. “As the focus of healthcare shifts more towards quality, I hope that vein specialists realize there is no need to perform non-indicated procedures. This is further validated with the increasing prevalence of venous disease; thus, there will be no shortage of pathology to treat. We will need to be more cost- and time-efficient, but with the challenge of maintaining high quality care and outcomes. One of the innovations in venous disease that is promising is the specially designed venous stent, which hopefully will address the difference in wall compliance and behavior that veins have as compared to arteries. Dr. Nasim Hedayati received general surgery residency training at Case Western Reserve University in Cleveland, OH and completed vascular surgery fellowship at Baylor College of Medicine in Houston, Texas. “My mentors during my training were Drs. Ruth Bush, Alan Lumsden and Eric Peden. Dr. Bush has been a wonderful mentor to me over the last 12 years and has gotten me involved with various committees and organizations. Over the years, I have also met many venous experts and leaders in the American Venous Forum and have developed wonderful friendships.” Throughout the years, she has met up with many of her mentors at national and regional meetings and conveniently kept in touch with them via text, email and even Facebook. As faculty at UC Davis Health, her practice is split between the university hospital and the Veterans Administration medical center in Sacramento. She typically does vein procedures in clinic once a week at the university and at the VA. She also does several complex venous procedures in a month. Dr. Hedayati stays very busy. When she’s not hands-on with her five-year old triplets, she’s attending committee meetings and society educational events. “I belong to more hospital committees than I have time for. However, I do enjoy them (especially our physician wellness committee and the bioethics committee). 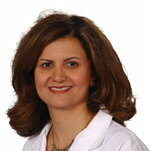 As far as the future goes, Dr. Hedayati predicts that “we will see everything ‘varicose vein’ done in clinic settings. No superficial venous procedures will be done in the operating room or with sedation. I think we will see more non-tumescent and non-thermal interventions for superficial venous insufficiency. Dr. Hedayati adds, “Because superficial venous care is becoming less and less invasive and faster with the non-tumescent non-thermal options, the biggest challenge we will face is to ensure standards of care are met and practitioners are held to higher standards. As part of the next generation, Dr. Hedayati says, “I think we need to better train our vascular residents and fellows in venous treatments. Even though venous procedures are a big component of their practice after finishing training, our current trainees do not get a lot of exposure to venous interventions due to time limitations. —This is just a sampling of the physicians working within the vein segment, just the tip of the iceberg. A clear need for more minimally invasive procedures and evidence-based outcomes drives them forward. As more advanced options for treatment emerge and as each unique story unfolds, we’re sure to see great things from all of the up-and-comers in this space.